After taking just a few steps on a concrete slab, you’ll start to feel your feet get cold. That’s because the concrete floor itself is quite cold, so it’s stealing the warmth from your feet! The same thing happens when you install a radiant heating system on a concrete slab. 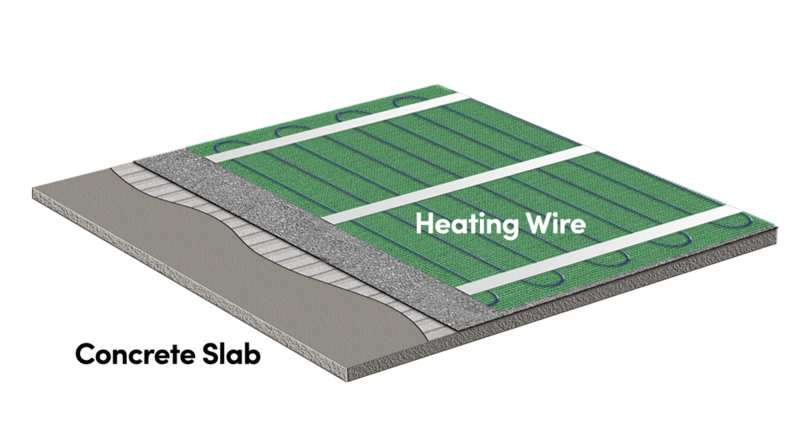 The slab absorbs the heat, which significantly lowers the effectiveness of your in-floor heating system. However, there is one item that can solve this problem: CeraZorb® underlayment. CeraZorb® is a synthetic cork underlayment that is installed between your radiant heating system and the concrete slab. 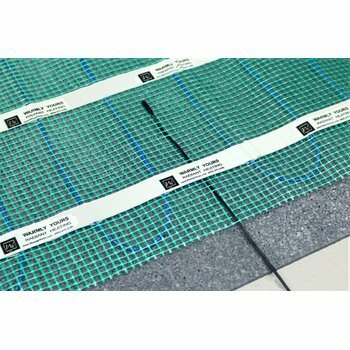 It acts as a barrier between the two materials, so the warmth from your radiant heating system will go upward through the flooring substrate instead of downward into the concrete. First, make sure your concrete slab is level and clean. You can use a self-leveler to get rid of any divots or imperfections in the concrete. Then sweep up any debris and wipe the slab down with a damp sponge to ensure that it’s totally clean. Spread latex-modified thinset with a 1/8-inch key-notch trowel on top of the slab. You can use the flat edge to spread the thinset out; then go back over it with the notched edge. 3. Lay out the underlayment. Lay a section of CeraZorb® underlayment on top and firmly push it down into the thinset. Note: Make sure the seams of your underlayment are staggered so that there isn’t one continuous seam across the room. You can do this by measuring and cutting the underlayment according to your room’s layout before you begin your project. Once all of the underlayment is laid out, use a roller to roll over it to ensure that you have good adhesion to the slab. 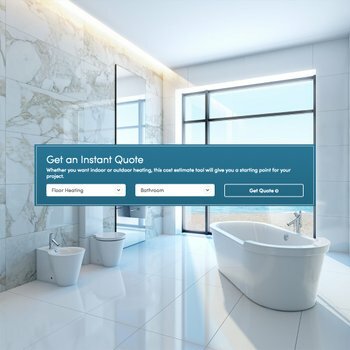 For a visual of the installation process, check out the video below. You can also check out how PrettyHandyGirl.com installs CeraZorb® in the video below. If you’re heating a basement, garage, or any other room on a slab, you’ll want to make sure you insulate between the heating element and the slab. You can use this blog as a reference, but if you have any questions during your installation, feel free to contact WarmlyYours’ technical support team. They’re available 24/7 at 800-875-5285 to help walk you through your project! By insulating your slab before you install radiant floor heating, you’ll maximize the amount of heat that fills your room. Say goodbye to cold zones!